Ever since the controversial video game Death Race hit the arcades in 1976, the issue of whether violent video games lead to real world violence has been hotly debated. 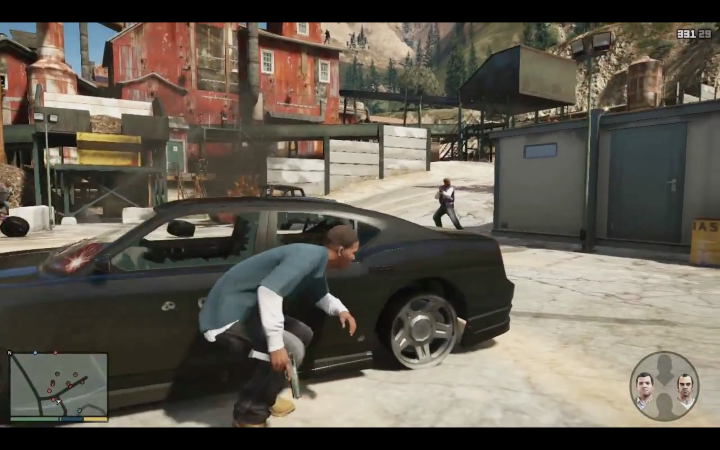 Like in the GTA series, the player in Death Race could run over pedestrians, so critics claimed that it encouraged violent behaviour. And while there is no conclusive evidence that playing video games will turn anyone into a homicidal maniac, more than one real world crime has been blamed on violent video games. Here follows a list of 5 violent video games linked to real world crimes. There is no doubt that Doom is a classic game that inspired a generation of gamers and changed the games industry forever. And back in 1993 the media was already pointing an accusing finger at the games industry, due to depictions of violence in video games. And given that Doom was a rather violent first person shooter, with cutting-edge graphics for the time, it found itself at the centre of the “video games lead to real world violence” controversy. So when in April 1999 maladapted teenagers Eric Harris and Dylan Klebold went on a shooting spree in Columbine High School, killing 12 fellow students and a teacher, the media was quick to blame the video games industry. Doom was still one of the most high-profile games around, and it was quickly known that both Harris and Klebold were fans of the video game. And Harris in particular not only played the game enthusiastically, but had even designed his own levels for the game. So the families of the victims brought a lawsuit against ID Software, makers of the game (among others), which was later dismissed in court.